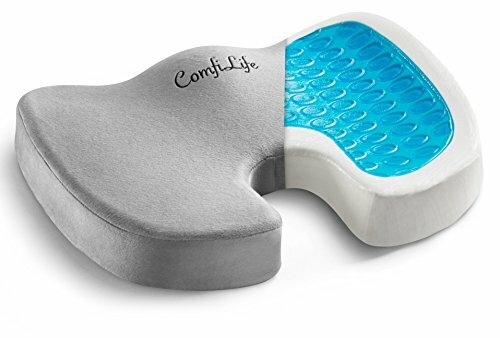 ComfiLife Coccyx Cushion helps relieve most back pain by reducing pressure on the coccyx thanks to the U-shaped cutout rear. This ergonomically designed cushion brings comfort to your office chair, car seat, airplane seat, wheelchair or rocking chair. The ergonomic contour design further promotes proper spinal alignment and healthy posture.